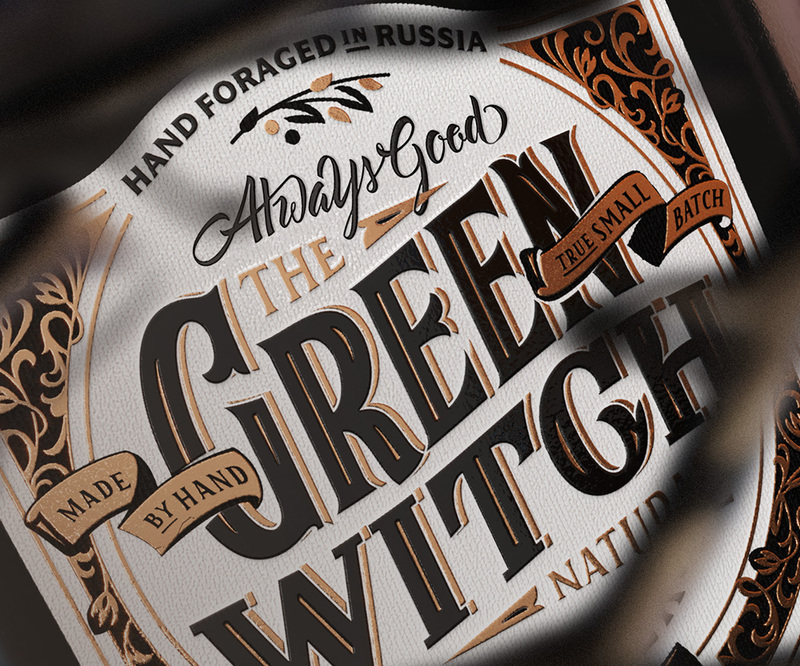 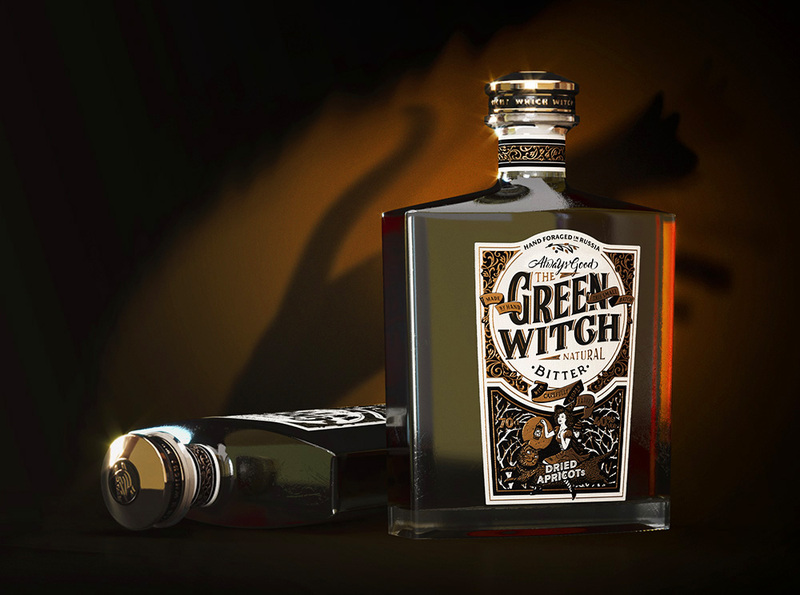 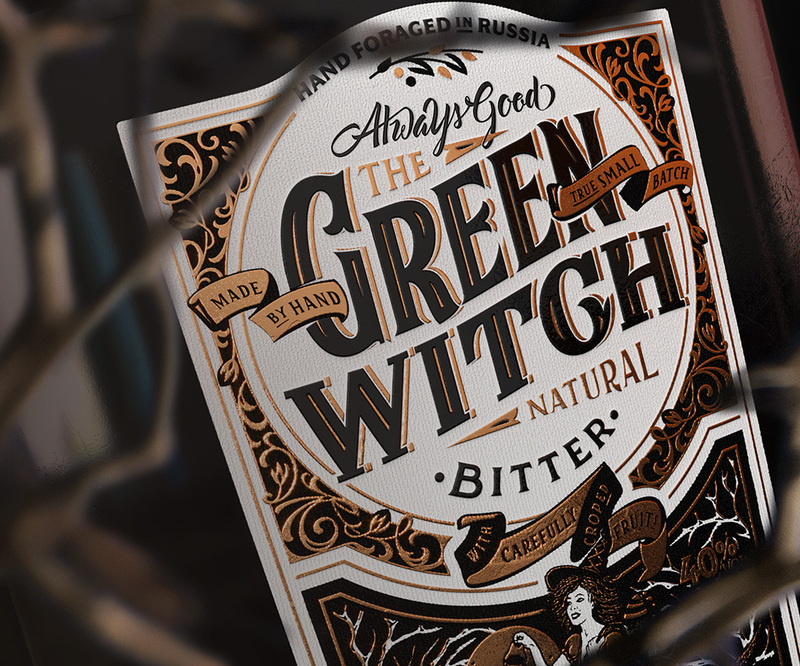 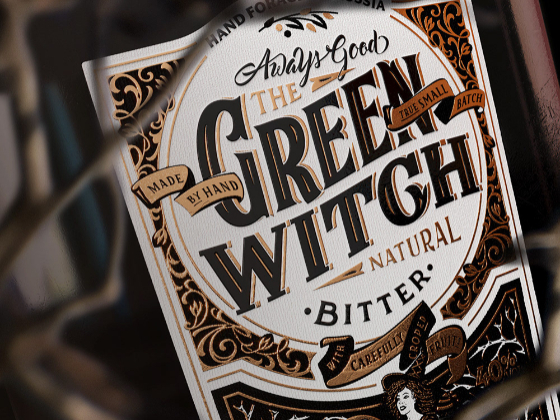 Green Witch brand name is a wordplay that relates it both to witchcraft and London. 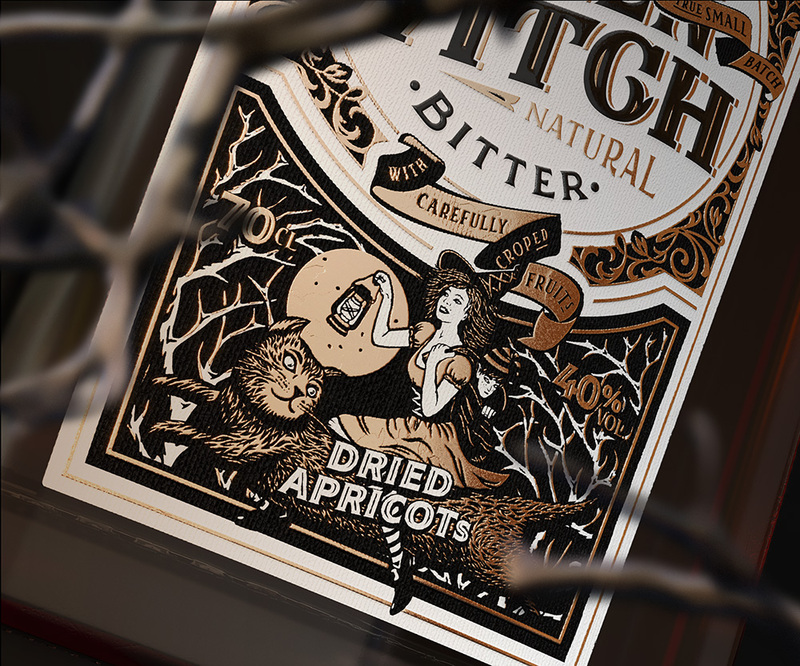 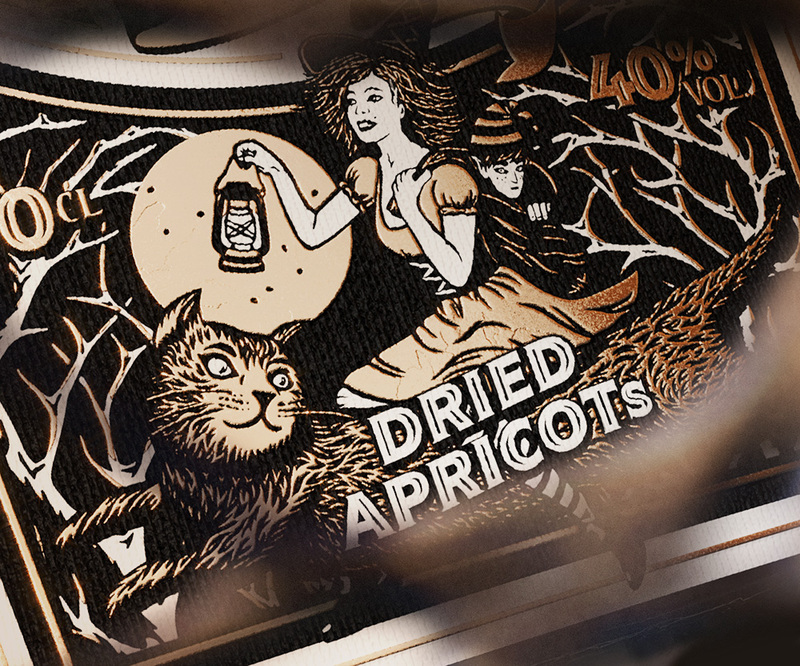 The label presents one of the most famous English fairy tales "Jip and the witch of Walgrave". 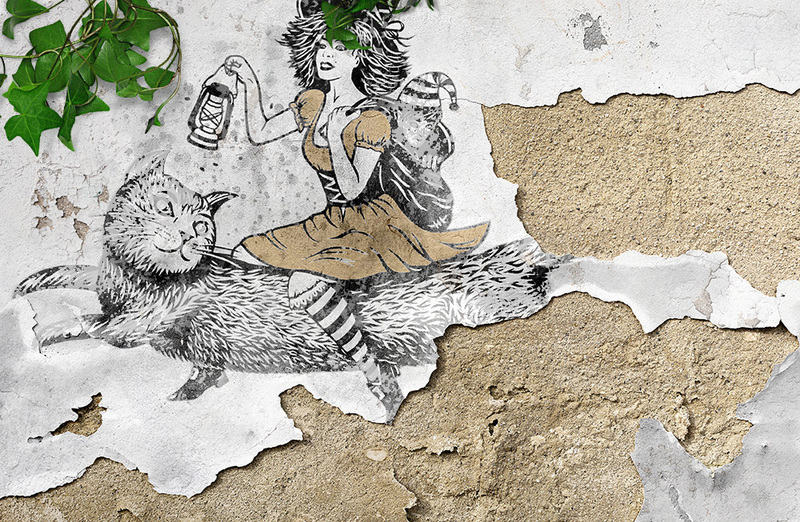 Brutal and quarrelsome witch Haulite carries in a bag the green-eyed prankish elf Jip while riding her cat through the forest. 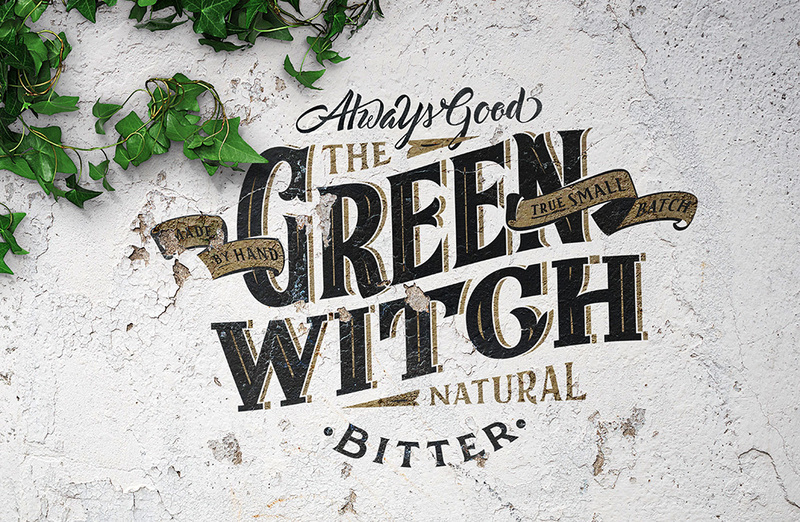 This touching and amusing tale for kids that tells about an evil hag that is going to fry and eat a forest elf perfectly suits the role of the brand legend of GreenWitch — a potion that facilitates digestion. 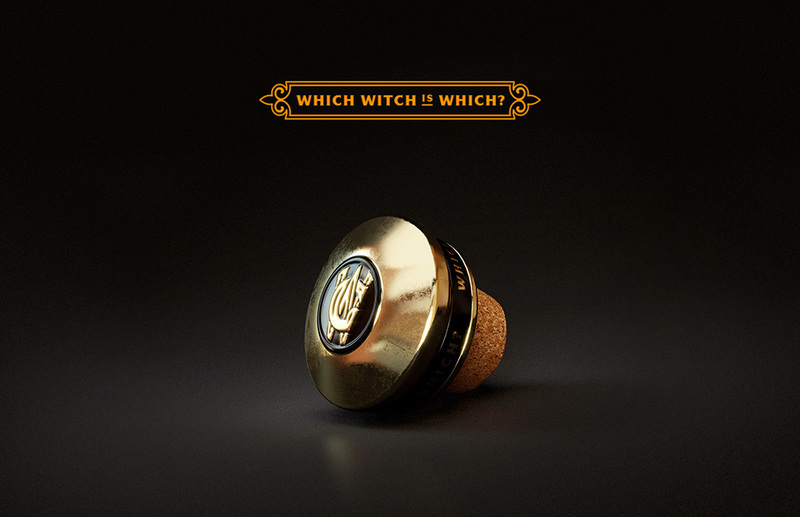 The first line of a funny English song "Which witch is which" stands next to the GW monogram on the bottle cap, equally providing additional context and depth to the brand.